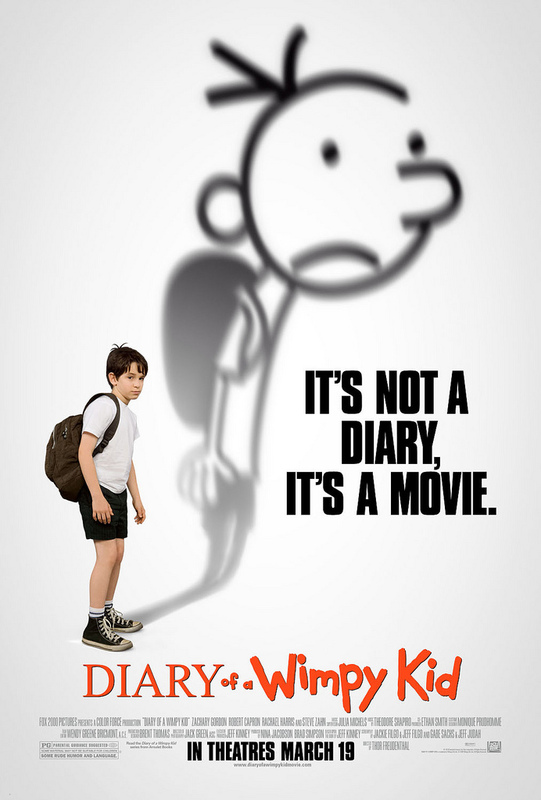 Last week the Diary of a Wimpy Kid movie premiered and now there is talk of producing a second film. But how did we get here? It just seems like yesterday that we started work on the cover. Which was over 3 years ago now. 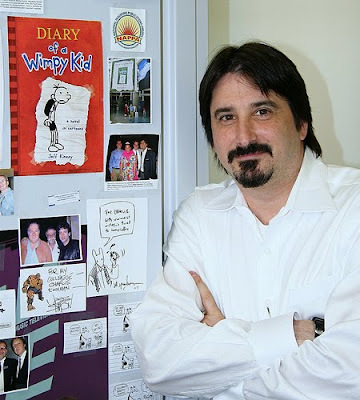 The first time I ever heard anything about Diary of a Wimpy Kid was through a PW announcement informing us that Charles Kochman had acquired a book told in cartoons. It was the first time I had seen an announcement like that about a book I was going to be working on before working on it. I had yet to work with Charlie since he was an editor for the Abrams imprint and had yet to work on anything in the Children's Dept. Not knowing what lay ahead there was an air of excitement around this book from the day one. Charles Kochman took a moment last week to reflect back about the movie and how Wimpy Kid came to be. 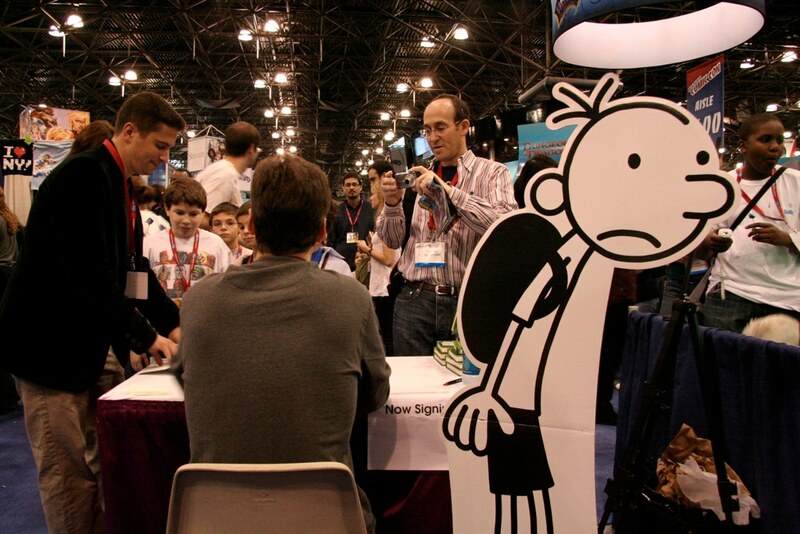 Charles Kochman: It’s late in the afternoon on Sunday, February 26, 2006, and I’ve been working the New York Comic-Con since Friday. A young man walks up to the Abrams booth and we begin to talk about Mom’s Cancer, a Web comic we’d just published as a graphic novel that was starting to get a lot of attention. He then asks if we would ever consider an online comic that was written for younger readers. “If the material was right, sure,” I say. “I can’t see why not.” The man then hands me a 6 x 9 spiral-bound packet of eighteen pages. 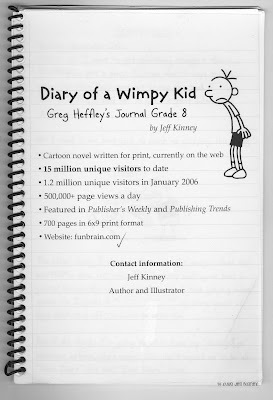 There’s a simple line drawing on the front and a title scrawled across the top, Diary of a Wimpy Kid. I looked down at his proposal, smiled, then looked up, the eight year old in me thinking, Why wasn’t there something like this when I was a kid? I offer encouragement, leafing through the pages, and let him know I’d be in touch after I read it and looked at his Web site. The man walks away into the crowd and, as he told me later, called his brother and said, “I just met the guy who’s going to publish my book.” Little did he know, but as I watched him walk down the aisle of the Javitz Center that afternoon, I thought the same thing. That night I went home, ate, and sorted through my stack of swag from three days at the con. Spread out on my bed were comics, books, posters, postcards, buttons, and proposals, each in its own pile. And then I unpacked Diary of a Wimpy Kid and read the first page and started to laugh. 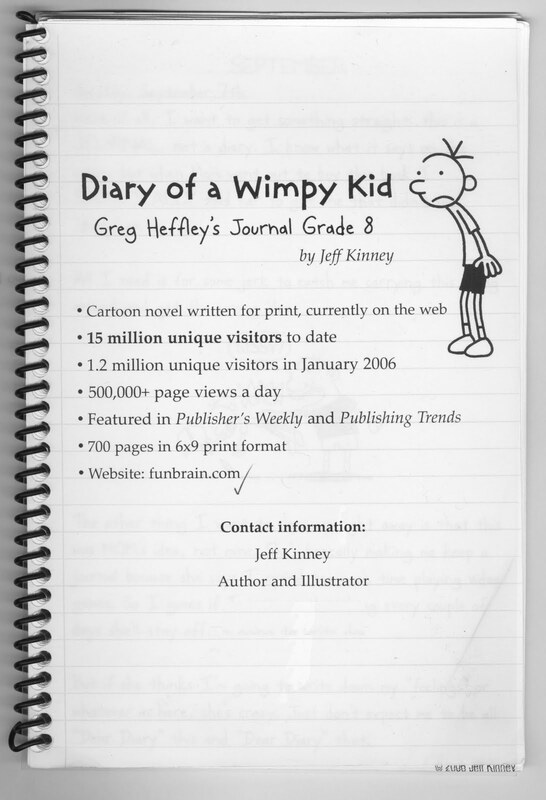 By the time I got to page seven and the Reading Group titles Einstein as a Child and Bink Says Boo, Jeff Kinney and Greg Heffley had won me over completely. 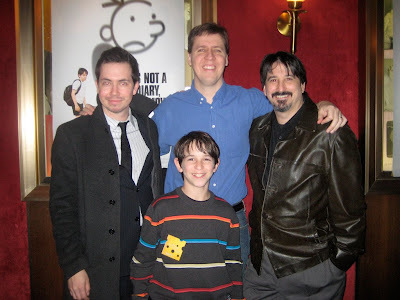 Flash forward four years: It’s March 4, 2010, and I’m sitting next to Jeff Kinney and we are in the Ziegfeld movie theater in New York watching the first 20th Century Fox screening of the film in front of 800 kids bused in by the NEA (National Education Association). Directly in front of us and to our immediate left are the two leads, Zachary Gordon and Robert Capron, who play Greg Heffley and Rowley Jefferson. And seated behind us are the producers, Nina Jacobson and Brad Simpson. Ninety minutes later Jeff is onstage with Katherine Paterson, the National Ambassador for Young People’s Literature (and the author of The Bridge to Terabithia and Jacob Have I Loved). You can’t imagine how surreal this all is. When I was fifteen I sat in the Ziegfeld for the premiere of Close Encounters of the Third Kind. My family and I had nothing to do with the movie, but my father was somehow able to score us an invite. 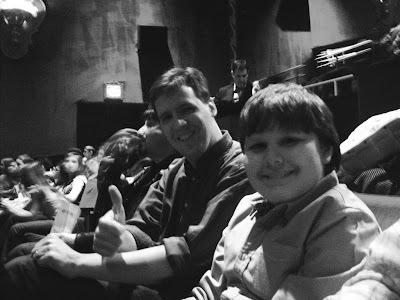 It was inconceivable then that thirty-three years later I would be sitting in the same theater, watching the New York premiere of a movie adapted from a book I had edited, and that I would be seated next to the author exchanging comments as familiar dialogue and scenes came to life on the screen in front of us. It was the first time I was struck by the reach of our series. I knew the books are sold into more than thirty-seven countries and appear in thirty-five languages, but I share Saul Steinberg’s view of the world, and despite the pile of foreign editions all over my office, there is a book-to-book correlation between each of them. The film, however, was transformative. And as I sat in the theater and heard the audience laughing and got caught up in the emotion of the film, I realized that our wimpy kid had grown and left his Abrams home and now truly belonged to the world. Sitting there with Jeff, I was as overcome as I was when I first saw the Mother Ship descend on the Ziegfeld’s legendary silver screen. I also realized something about Diary of a Wimpy Kid I have almost taken for granted these past four years: We are not alone. 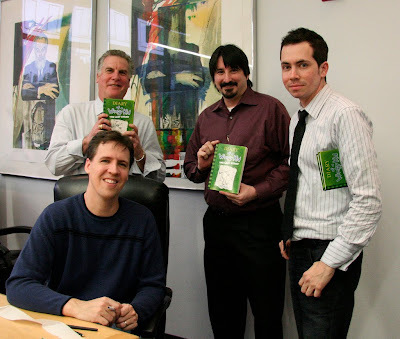 Obviously, a lot transpired in those four intervening years between the time I met Jeff and last Friday when the movie was released: We published a series of four bestselling books, a mostly blank journal, and a movie diary. Jeff was chosen as one of Time magazine’s 100 Most Influential People in the World. And he’s received other awards, spoken at various conferences, done book signings for 1,000s of fans, and has made a series of network television appearances (and thanks to Jason I even got to sit in the Green Room and exchange pleasantries with Barbara Walters when Jeff was on The View, and with Al Roker the first time Jeff was on the Today show). When I first presented this series before our Publications Board, I never imagined any of this. We signed up three books. It was a fun story with art we were all charmed by, but it was never a lead title, and in any best-case scenario we ever imagined, no one, not even me, believed it would have any impact on the publishing industry, much less the world. 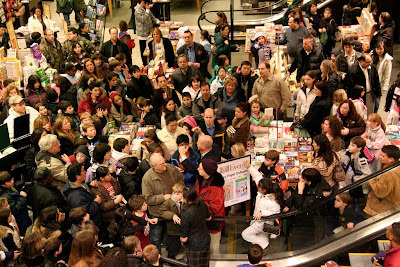 But like most outliers, its success seemed to happen overnight, but in reality happened organically as word of mouth spread and middle school readers discovered the book and told their friends, who then told their friends, etc. etc. The book was released in April 2007, and a month later, on May 6, it debuted at #7 on the New York Times Bestseller List, where it has remained at the top ever since. led by Michael, Mary, Jason, Veronica, Marty, Elisa, Howard, and Susan, with occasional guest appearances by Chad, Scott, Jutta, Tom, Larry, Anet, and Jacquie. 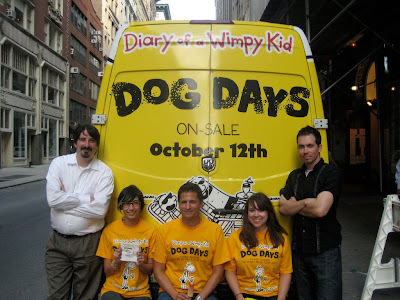 Over the years this team has coalesced and plays a crucial role in this cultural phenomenon, and in the continued success of Diary of a Wimpy Kid. 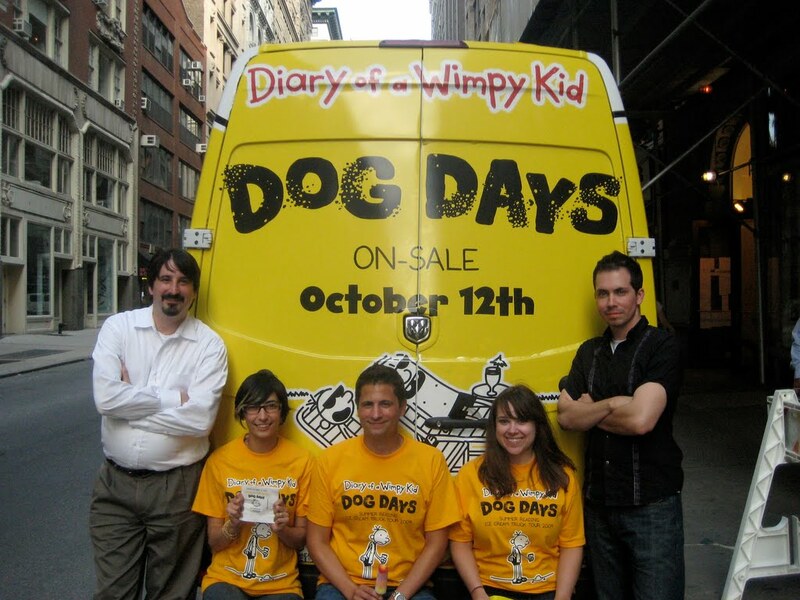 Without each and every one on the team playing their part, and the countless others here at Abrams and our field sales teams, as well as at our printers, Lehigh Phoenix and Worzalla, there would never have been a Wimpy Kid movie. Without laying the foundation with our books, there wouldn’t have been all of those fans eagerly waiting the film’s release, each of whom came out its opening weekend to spend over $22.1, making it the highest-grossing debut ever for a non-animated, non-fantasy children's book adaptation. Not bad for a wimpy kid. enthusiastic reader (at least when a new Diary comes out)!